shopping with just a click or can locate your vehicle using GPS Vehicle Tracker or Vehicle Tracking System for your car in your smartphone. But we are getting used to this evolution of technology. The rapid growth of technology in the vehicle industry has been massive considering the fact that the use of fleet has grown massively too. It’s not just us who have gotten smarter, but our phones, watches, and vehicles to have been upgraded to a smarter version. Like I mentioned before, It can be tough, but not impossible. And to make it easier, we bring you the Ultimate guide. 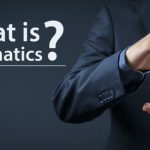 If you’re Fleet Manager, driver, a worker in the Fleet Management Industry or even an enthusiast, this article is for you! Well, remember whenever a patient has a disease, a doctor takes several tests to locate where the problem is. Because, until and unless he knows where or what the disease is, he won’t be able to do anything to help. 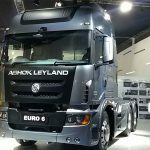 Similarly, it is the most important part and yet the standard need of a Fleet Management is to have a proper Vehicle Tracking System. It is a combination of the locator along with the software which updates you with your real-time location. 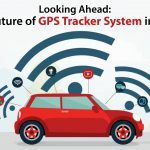 The locator of the modern vehicle tracking systems is GPS (Global Positioning System) or GLONASS (Global Navigation System). Think of it as your personal saviour when you’re unaware of the roads. Formally called as the Offline Tracker. After a vehicle completes its journey, the passive tracking system is removed and used for analysis where it gives data regarding GPS location, speed, heading, and direction. These details are later evaluated. Since the previous one was known as Offline, if you guessed this is known as the Online Tracker, well, You’re correct! The reason why Active Tracking System is called so is that it provides the manager, owner or driver. The ATS is generally preferred more due to its less hectic and on-time updates. Most of the advanced Fleet Management systems use a combination of both active and passive tracking system. How? Well, the online tracker will give updates in areas where the network is clear but what about places where the networks don’t reach. Yes, that’s where the offline tracker comes into the picture. It stores those data and later at the time analysis, it combines these data for a better evaluation. Although there are several reasons, these are the 7 priorities why the need is a must. The complications of the road always make the safety an issue. But due to the GPS Tracking Device and advanced locator, stolen vehicles can be recovered and tracked. Valuable assets need to be tracked by the companies for the safety, satisfaction of the customer or for more importantly, for the insurance. It is the vehicle tracking system that assists them in doing so. Also Read: How to get AIS 140 certificate for your vehicle or device? Proper Maintenance is what keeps a company go into profit rather than spend an unnecessary fortune trying to buy a new one every time some error occurs in the used ones. The repair and maintenance of the vehicles are planed with the Vehicle Tracker. The companies can track their vehicles along with their customers and their potential buyers. The IoT and AI play a major role in this. This helps them in prioritizing the fields and area. Fleet companies that send lorries and trucks with heavy loads, need to keep track of their items as well their vehicles. Advanced Vehicle Trackers which uses the Fleet management software (FMS) gives a weather update. This helps the driver to know beforehand if the route he is taking has manageable weather. As a bad one can result in a halt in a delay in schedule. Due to its ability to track vehicles along with fuel amount, engine temperature, altitude, tire pressure, cut off fuel, turn off ignition, turn on headlight, turn on taillight, battery status, GSM area code/cell code decoded, number of GPS satellites in view, glass open/close, fuel amount, emergency button status, cumulative idling, computed odometer, engine RPM, throttle position, GPRS status and a lot more. All these features help the driver and the manager to have the correct data of how much fuel is being used, managed and most importantly, how to avoid wastage. We know that the vehicle tracking system is the heart of the fleet management, but you know what is the heart of the vehicle? The Engine. So, in order to maintain the vehicle’s efficiency, it’s very important for the company to look after the engine. It is through the OBD II which gives a detailed report of the engine. This helps the company to evaluate and plan their course of action. What Vehicle Tracking System is? We know why it is important. And, why is it so popular and needed? 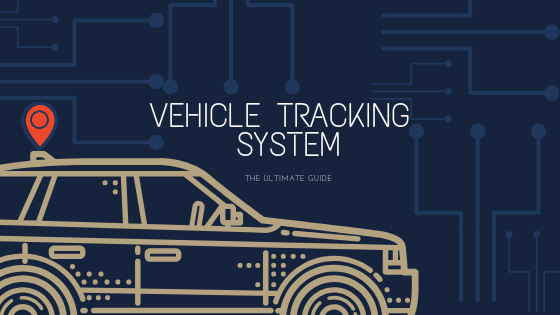 That concludes your ‘The Ultimate Guide of Vehicle Tracking System.’ Now that you know all about it, why not sow the seeds of Vehicle Tracking System and reap its numerous benefits. 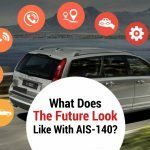 Previous Post Previous post: How to get AIS 140 certificate for your vehicle or device?